Did you shop at 6pm.com but you find out that it doesn't ship outside of the US? If you are from countries in Africa or from India, it is highly possible that the shipping is not available to your country. We will show you how to cheaply get goods from 6pm.com to your country within a few steps. 1. First, at all, you will need a US address where 6pm sends your order. 2. Once your package will be delivered to this address (to our warehouse in Gardena) we will send you a notification email. Sounds easy, right? Let's look at it more in detail. 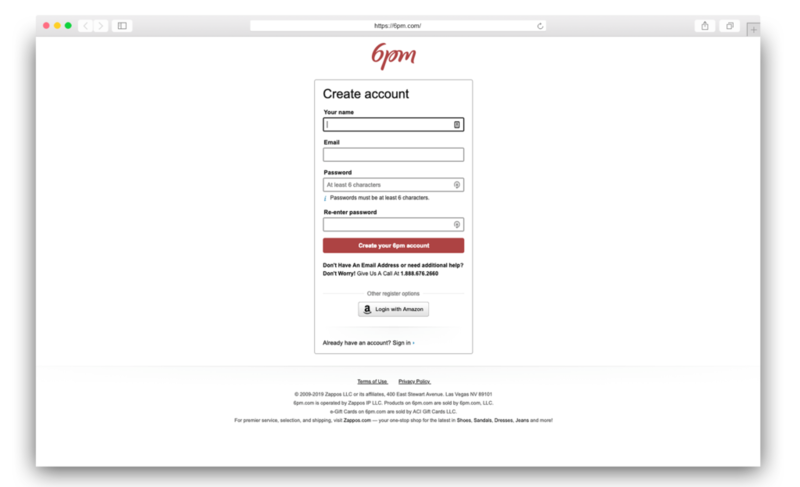 6pm delivers to the US addresses only. This means that you need to get one. We are able to provide you with this address within a few minutes. The address is Free of charge. Feel free to read on or watch our video tutorial. Make sure you fill in the correct email address. Otherwise, we will not be able to inform you about the incoming packages etc. Use a strong password too. 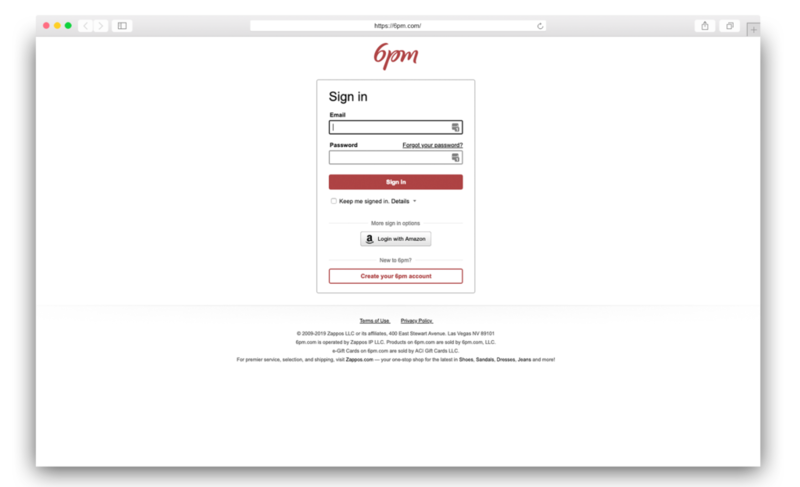 We can recommend an online generator like LastPass. This tool can store passwords so you need to remember one password only. You need to verify your email address. We will send you confirmations and other important information there. If you don't get a notification email from us, please, make sure you double check spam/promotion folder. Our confirmation email where you can find verification link. If you are not able to verify your email address from some reason, let us know. 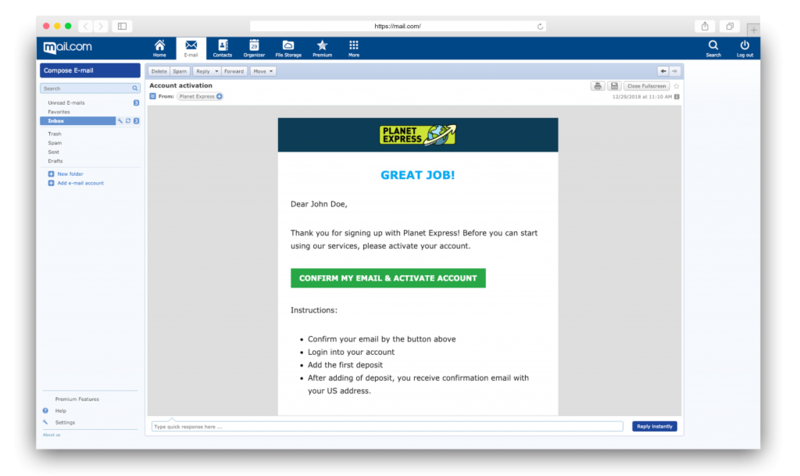 Open the link and confirm your email. You completed the first part – great. 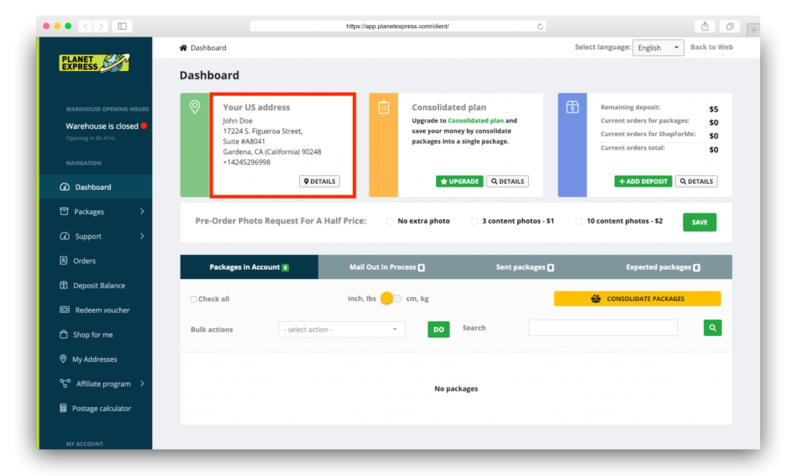 Now fill in your delivery address (the address where will we ship your packages from the US to) and activate your address by adding deposit. 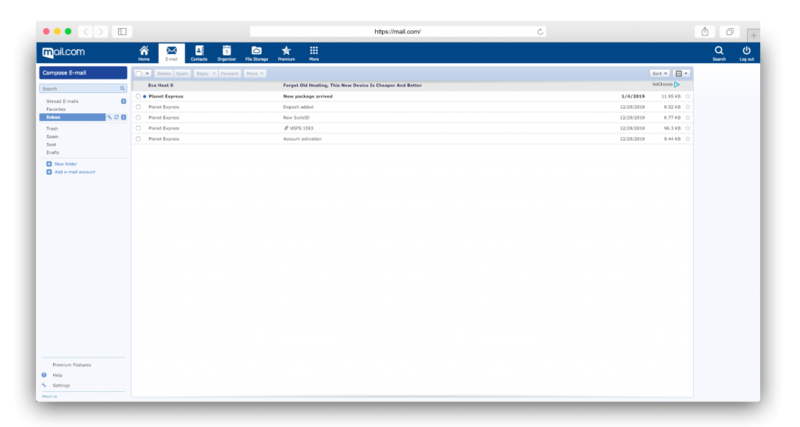 You can edit the delivery address in the administration at any time. We told you that the address is free of charge and now we tell you something about the deposit, right? You don't have to worry about that because you don't lose the money. We just need to verify that you are not some fraudster that wants to abuse our service. This is one of our security features. Add $5 deposit – it will be added to your account as a shipping credit. You support the following payment methods: wire transfer, PayPal, credit/debit card payment, Amazon Pay and Bitcoin payment. Follow the instructions for the payment method you choose. 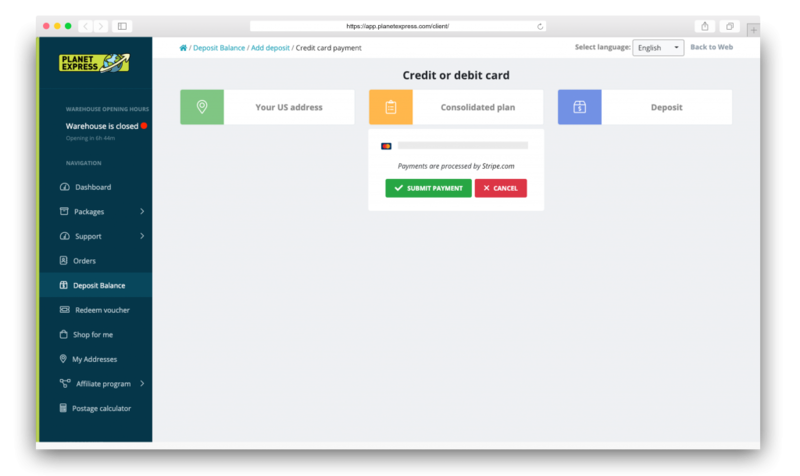 We use Stripe.com service for processing credit card payments. 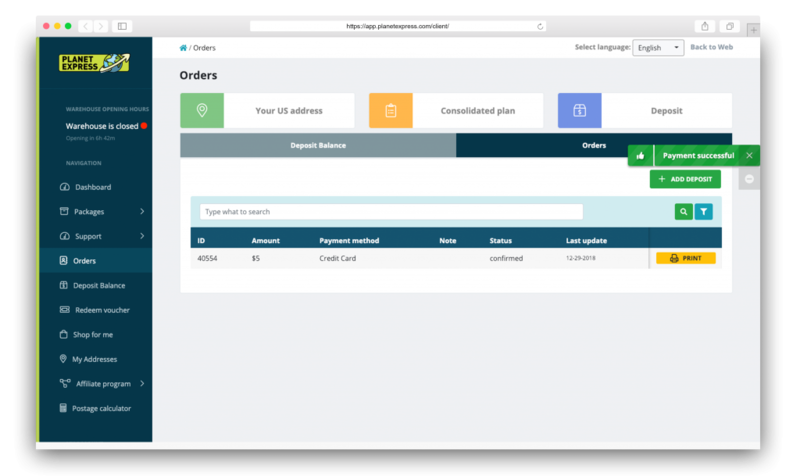 An overview of your payments you will see under the ORDERS tab. Now you will be able to use your US address for shopping in the US. After you add the deposit, you will see an activated US address. It is necessary to fill in your suite ID during the order at the US stores. According to this number, we will link the incoming package to your account. 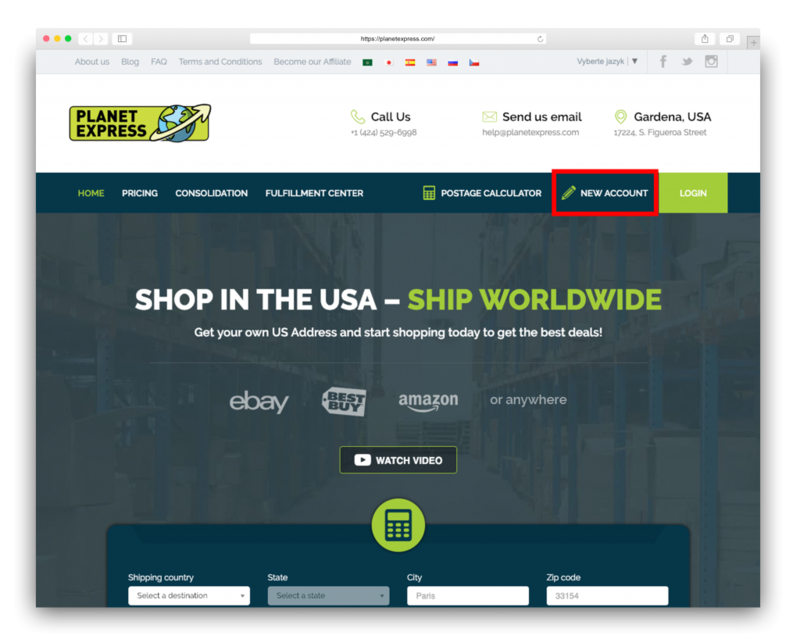 You can order goods from several thousands of the US and non-US stores like from Amazon, eBay, Walmart and many more to your US address. 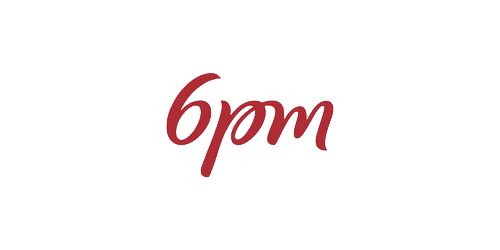 The 6pm is focused mainly on fashion and fashion accessories. We selected elegant men watches by a brand Fossil. Add them (or any other item) to your shopping bag by clicking ADD TO SHOPPING BAG button. 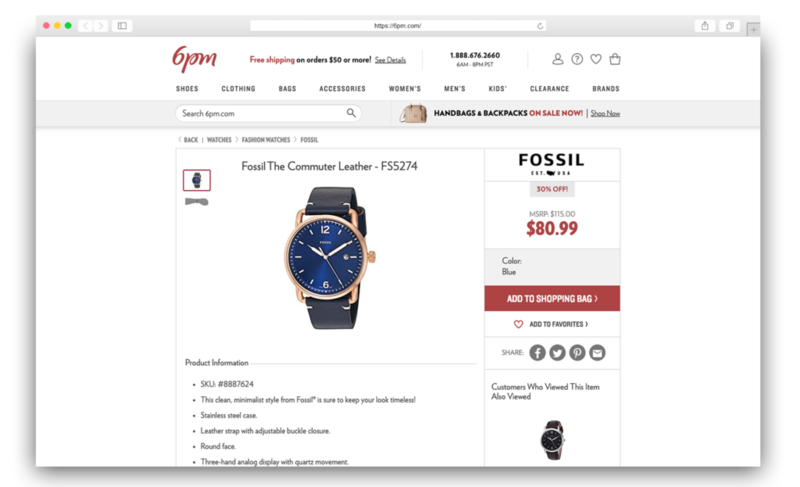 Fossil men watch at the 6pm online store. 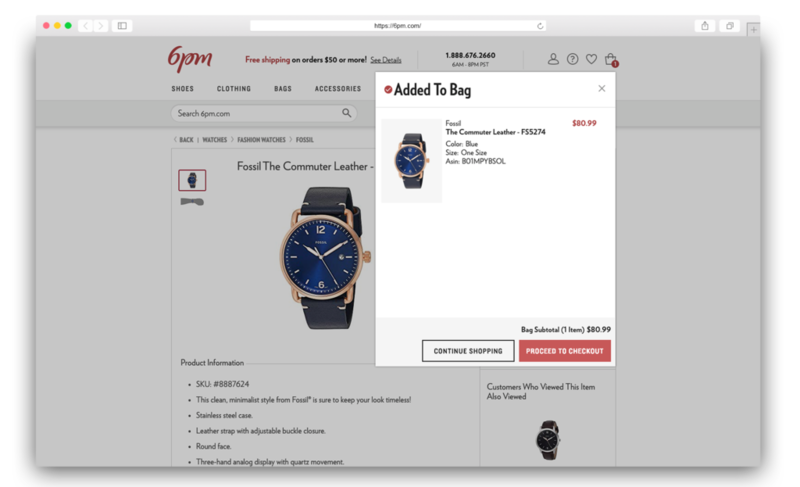 A window will show up and you will see a confirmation that the watches have been added to your cart. 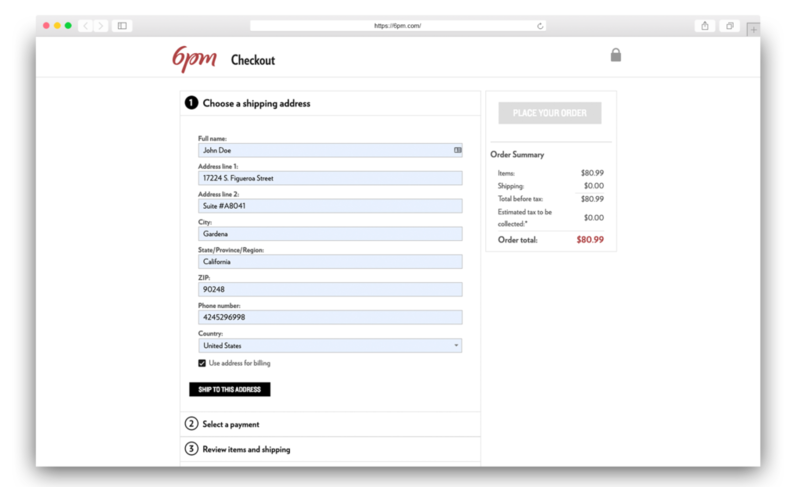 You can continue shopping or PROCEED TO CHECKOUT. The watches have been added to the shopping cart. 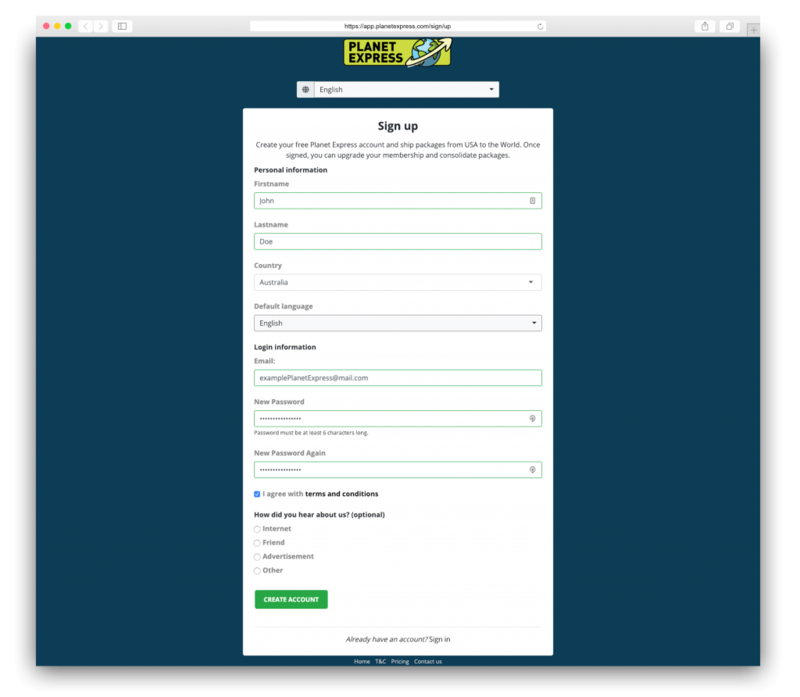 Unfortunately, at 6pm.com you can't shop as a guest so you need to sign up. Fill in the details necessary for the registration at 6pm.com. Fill in the address that we provided you with. You will find the address at the dashboard in the administration (login to your account here). 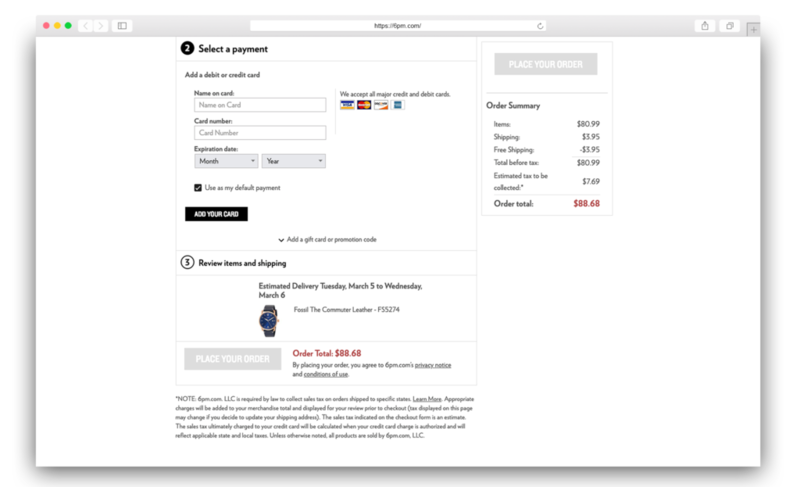 Then click SHIP TO THIS ADDRESS button and continue to the payment. 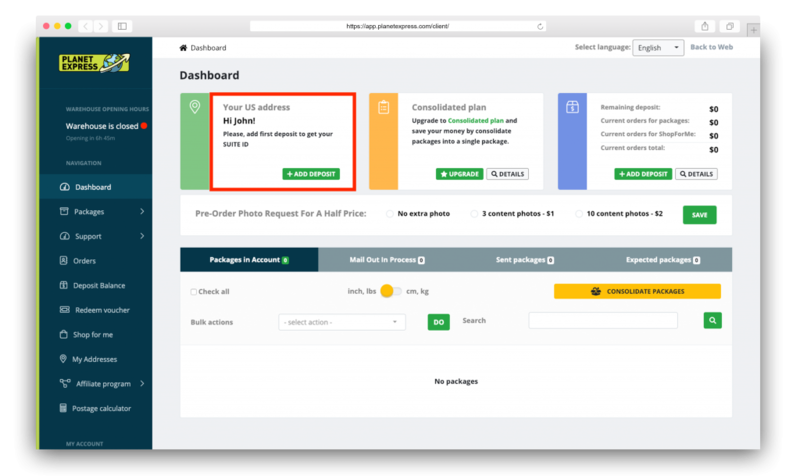 Now select the payment method (you can pay with the credit card only) and the delivery method to our warehouse (your delivery address). As you can see, there is a tax that needs to be collected. Read more about sales tax here. 1. The email has been delivered but it was marked as spam and you didn't notice it. 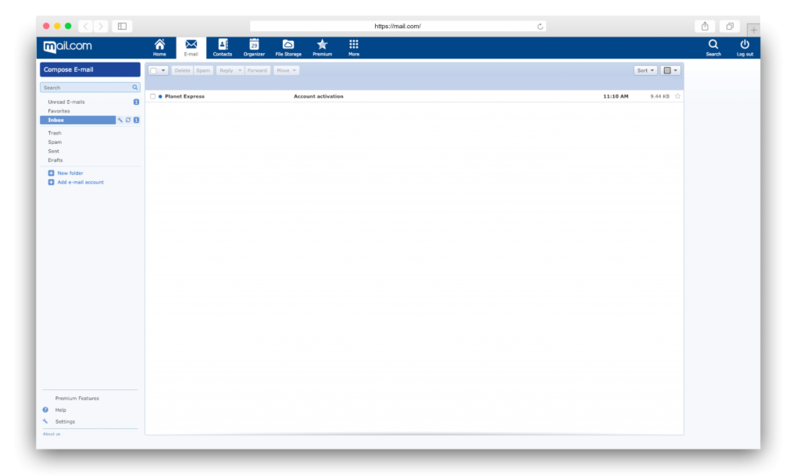 Go through your spam or promotion folders. b) The seller cheated you. Let us know that immediately. 3. The package has been delivered to our warehouse, but due to the absence of an identification number, we do not know which account to assign it to. In that case, please contact us at [email protected] and send the proof (invoice) that you have paid the goods in the attachment. We will then link the package to your account. The final step is to ship the package from our warehouse to your home. First of all, you should receive the email saying that your package has been added to your account. 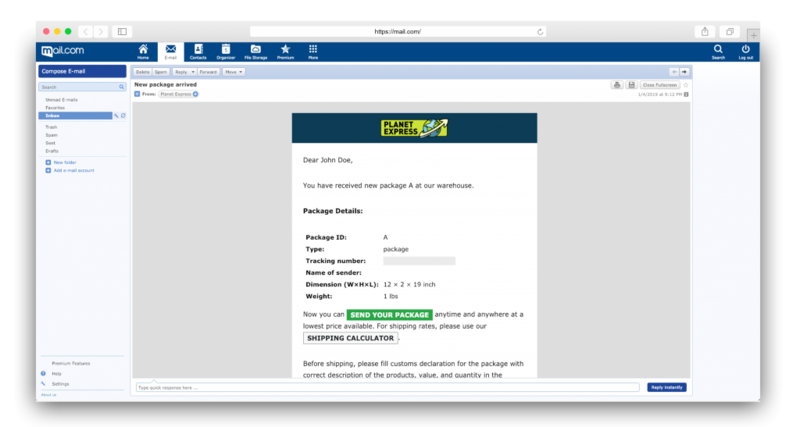 The email informs you about the package details. 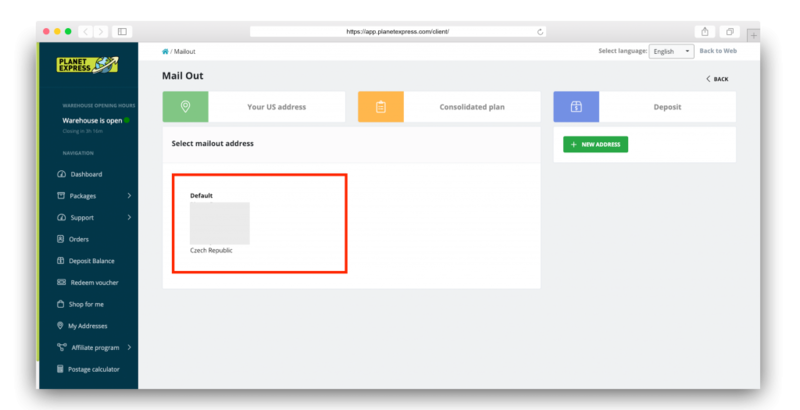 In order to ship your package to your country, you have to log in to your Planet Express account and fill in the customs declaration. The Customs Declaration is a document that is used to verify the contents of a package during the customs control. IT helps to have control over the movement of goods into the country. It is, therefore, necessary to fill it in. Without a completed customs declaration, the package cannot be sent. Remember, if the package value exceeds the de minimis value for your country, you will have to pay customs duties from it. Unfortunately, there is no 100% proven way how to avoid customs duties. Tip: Calculate the customs duties with the Simply Duty tool. Now you know what is customs declaration. Let's fill it in. Feel free to watch our video tutorial How to fill in the customs declaration or follow the pictures below. 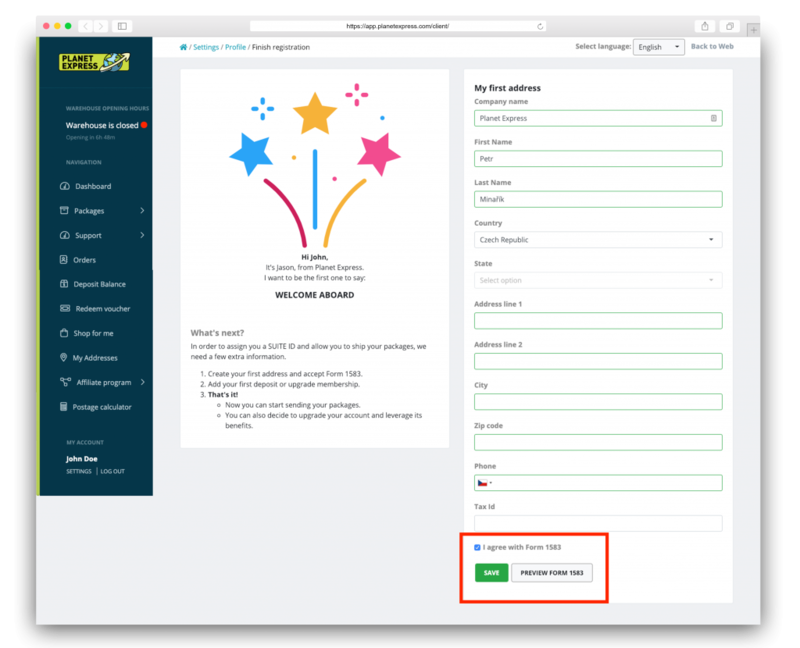 Once you fill the customs declaration, you can select the delivery method. Remember, some of the delivery methods are limited by weight & size so please the more detailed info on our Delivery method page. Based on the delivery address, the delivery method and other package details, the price of the shipping is calculated. The price doesn't include customs duties. If you ship goods of higher value, we recommend you to use DHL and FedEx. The delivery methods of these carriers include insurance in the postage costs and more detailed package tracking. If you order cheaper goods, use Planet Mail Economy/Express or USPS Economy/Priority, eventually Aramex. You don't have to pay for the insurance but we recommend it. Unfortunately, some of the employees of logistics companies don't care about the packages so the packages may be damaged or even lost. In extreme cases, the packages get confiscated by the customs. We cannot influence these circumstances. If you pay for the insurance, you will be refunded the value of the package (filled in the customs declaration) + the price of the shipping. 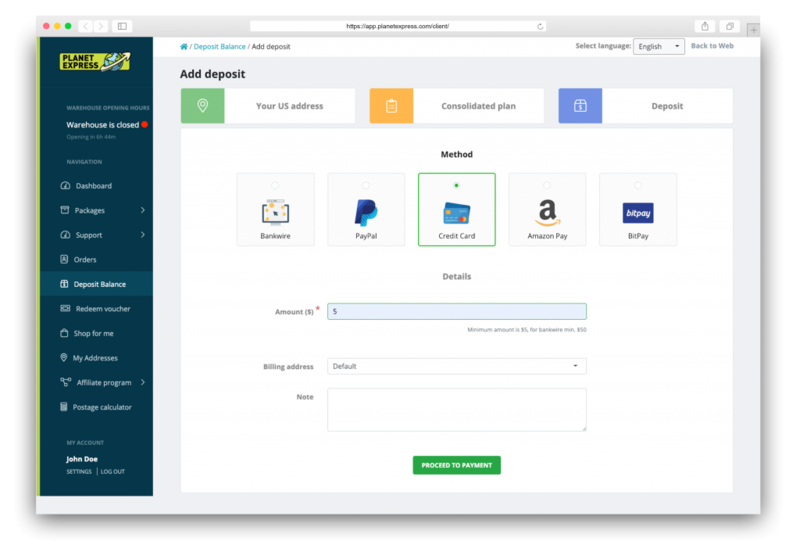 Before we ship the package you can order additional services like removing invoices etc. Thanks to Tracking number you can track the package. 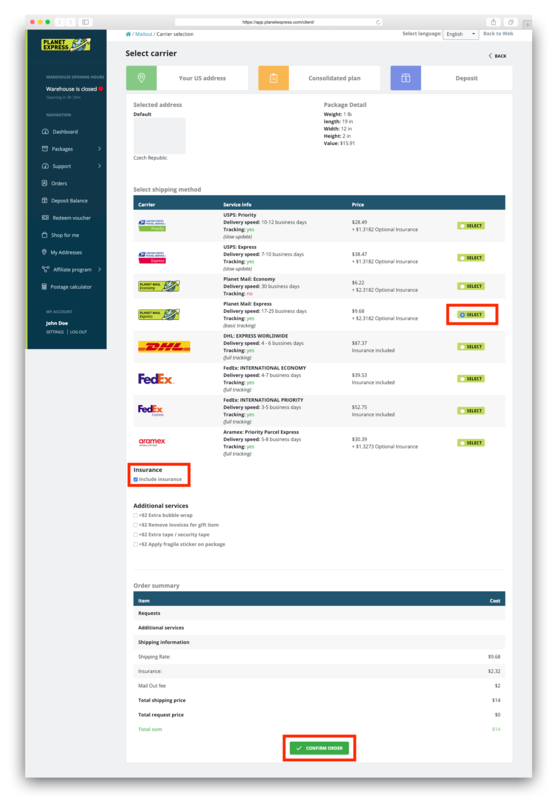 The best ways how to track your package you can find on our page. Except for Planet Mail Economy, all of our methods offer package tracking. Once the package is delivered to you, review its contents. If the content is damaged, please take a picture of the damage and email us. Watch our unboxing of the package from Amazon. Tip: Watch our tutorials page if you are not sure about some step. Why You Should Use Planet Express? The popular 6pm fashion store does not provide international shipping yet. But we can provide you the shipping to your country. 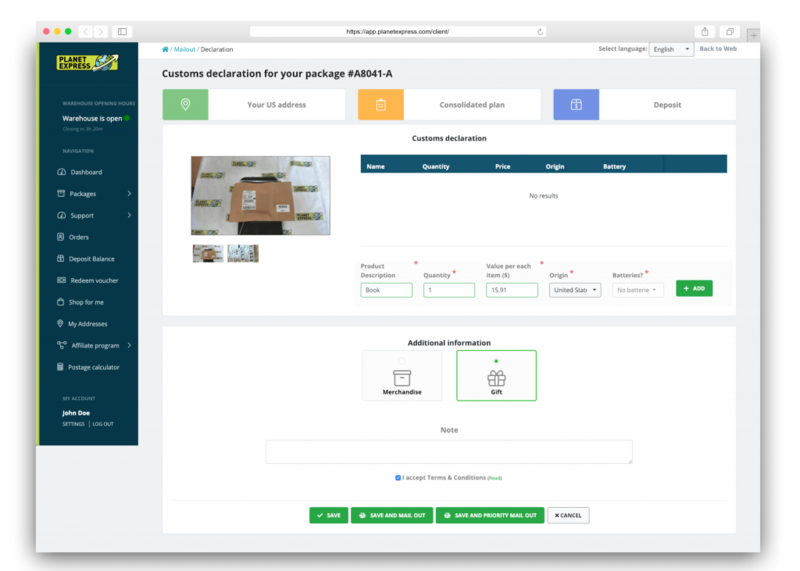 However, we also offer other useful services before we ship the package to you, such as package insurance, repackaging, taking pictures of the content, etc. The whole principle of package forwarding from the 6pm.com is based on the fact that we collect a large number of shipments in one place. That means we are able to negotiate better rates with carriers (DHL, FedEx, USPS, Aramex, and others) than an individual person.